A new DC Comics – Lobo Maquette is coming soon from Sideshow Collectibles. They have shared photos and details for the upcoming statue, which goes up for pre-order later today. The Lobo Maquette stands 23″ tall, with Lobo standing on top of some unlucky alien as he fires away at his next target. The statue includes a metal chain necklace, a metal chain with a hook on the end, as well as some fabric and faux leather pieces. Lobo’s triple machine gun features a firing effect, and Lobo is smoking his favorite cigar. The Sideshow Exclusive version includes an » Continue Reading. 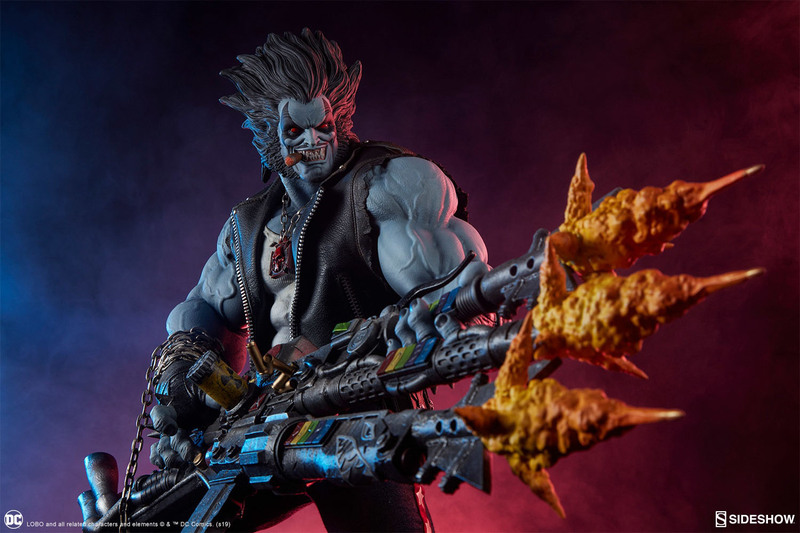 The post DC Comics – Lobo Maquette by Sideshow appeared first on The Toyark – News.